Spring 2019 features the Toucan collection! Fun-filled Rhythm Kids® classes naturally support your big kid's rhythm development and help them prepare for formal music lessons, and life! Classroom activities engage children as they solo, work in ensembles, play new patterns, and improvise. All of this supports your child's social and listening skills, self-expression, and self-confidence like only music can. Each student receives a Rhythm Kids songbook, audio recordings, and access to interactive online video drumming tutorials, so that the entire family can continue the fun and learning at home, and parents can stay connected to what their child is learning in class. Level I classes are intended as a parent-child class. Drop-off may be considered at the discretion of the classroom instructor. Drums will be provided for the class each week, but if you’d like your child to have a drum to play with at home (and then continue to use in Level II classes! ), please speak to your teacher. Level II may be drop-off classes, but parents are always welcome to stay and play! This is an instrument-learning class, so your child will need a drum. Please speak to your teacher for more information. 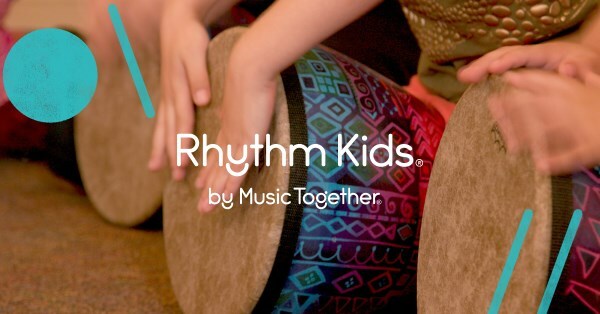 Although we typically play African djembe drums in class, Rhythm Kids is way more than just a drumming class, as our main focus is to develop rhythm using the voice, the body and the instrument. Classes include singing, movement, rhythm activities, games, improvisation, and drumming patterns. Children learn and experience the drum patterns in chant form first, and then transfer that learning into drumming and movement, some of which is based on traditional folk dance. Classes include activities and instrument play that allow children to create and express themselves through music and movement, multicultural rhythm patterns, songs from around the world, and music-based games and activities.